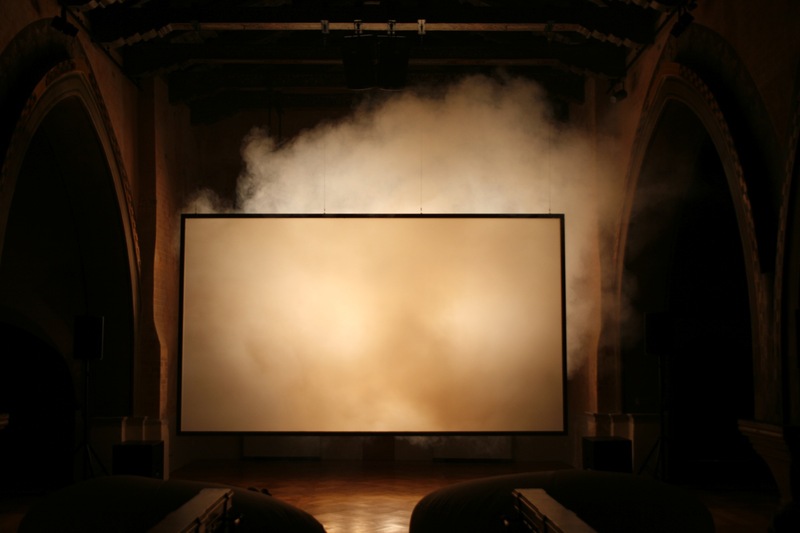 As smoke filled the theater at the Singapore Art Museum, enshrouding a captive audience in the performance of Tzu Nyen Ho’s, The Cloud of Unknowing, the viewer was confronted with the reality that film is not necessarily a contained element within the space of the screen. 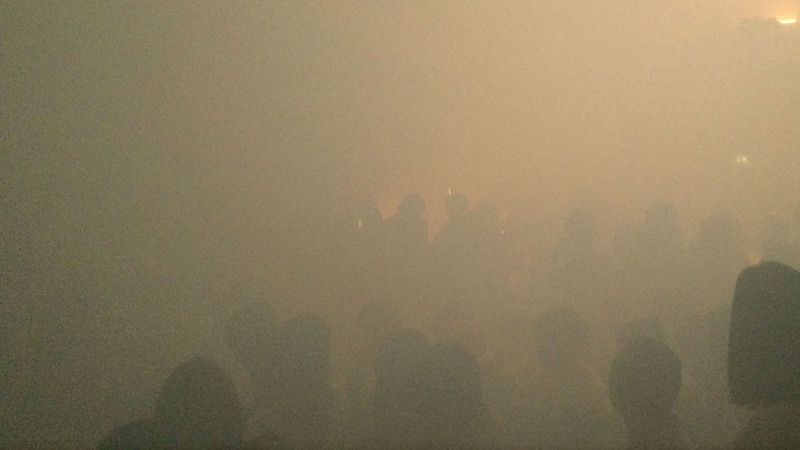 As eight post-apocalyptic, cloud-infused scenes unfolded in a decaying apartment building on the outskirts of Singapore, what might have been construed as safe and distant within the illusion of film oozed out in a frenzy of smoke, drones, voices, and noise. 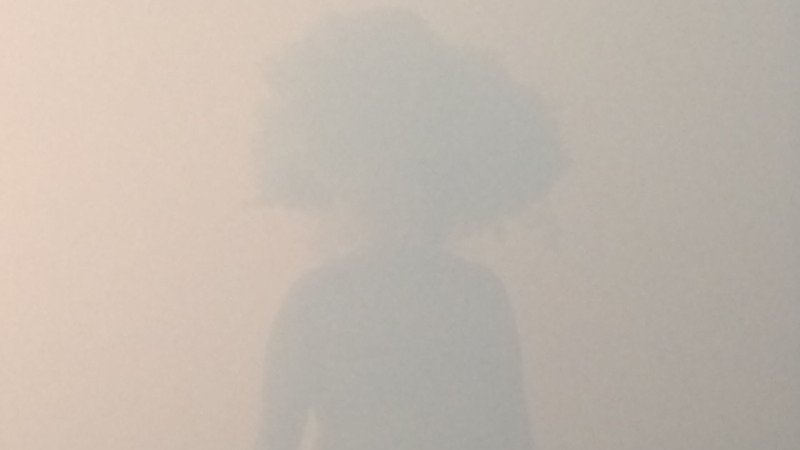 The sensorial power of the smoke-filled theater brought the metaphor of the cloud, inspired by symbolic representations derived from Western and Eastern philosophic and artistic inquiry, directly into the viewer’s physical space in an unspeakable moment of nightmarish, collective intimacy: a hallucinatory spectacle that transcended metaphor, symbolism, and any notion of the suspension of disbelief. The experience was only heightened by the earplugs that were distributed prior to the performance, intended to mask the excessively loud score, but in the end, really served to plunge us even deeper into this disintegrating world. There is a sense that beneath the orderly, clean culture of Singapore lies something else – an underworld – a dimension of “unknowing,” a disturbingly deep realm of the unconscious, a place to be avoided, ignored, and not seen. But in The Cloud of the Unknowing, there is no escape. For 35 minutes, the audience is forced to contend with the other side of reality. No, the theater is not always safe, as one might think in the comfort of the lights going down, as the cloud invades the dark safety of the room, “exploding the frame” in a gripping and punishing assault on the senses. In Tzu Nyen Ho’s theater of the sensorial, the grotesque, the ugly and the deformed are acknowledge and confronted. You cannot shy away from his world when characters emerge from behind the screen and infiltrate the space, working their way slowly through thick smoke, to become planted squarely in our presence: where we find ourselves in the obscure and cloudy realm of the unknowing.